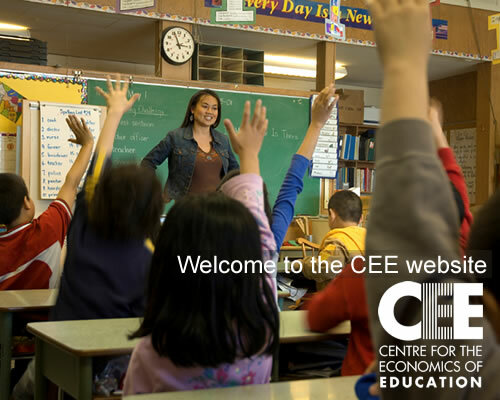 You are at the homepage of the CEE website. The Centre for the Economics of Education was established in March 2000 and receives core funding from Department for Children, Schools and Families / Department for Innovation, Universities and Skills . The CEE seeks to undertake systematic and innovative research in the field of the economics of education by applying the latest techniques of empirical analysis. We look at a broad range of questions including why people invest in education and training, the way education systems are organized, and the impact of education and skill acquisition on economic and social outcomes. Our programme covers education at all stages of people's lives.